With minimal warning this afternoon, our newly sworn in Governor Mike Parson announced he was appointing State Senator Mike Kehoe as the new Lt. Governor to fill out the remainder of his unexpired term. Kehoe represents parts of seven mid-Missouri counties and was set to exit the Senate this year due to term limits. Before his first election to the Senate, Kehoe was on the state Highway and Transportation Commission and owned an auto dealership. Kehoe was sworn in immediately after the announcement was made, probably because the legality of the Governor appointing a Lt. Governor is somewhat of a legal question. While this has happened in the past, the circumstances were much different. For example, Governor Roger Wilson appointed then Senator Joe Maxwell to the position of Lt. Governor AFTER he had already been elected to the position in November. The office was open because Wilson had ascended to the Governor's office following the tragic death of Governor Mel Carnahan. A clarification measure was proposed this past legislative session regarding the appointment process, but was ultimately not voted upon. By the letter of the law, the Governor does not have the authority to make this appointment but members of both parties find there to be grey area in this interpretation of law. As a rank-and-file conservative, Kehoe's appointment makes a lot of sense. 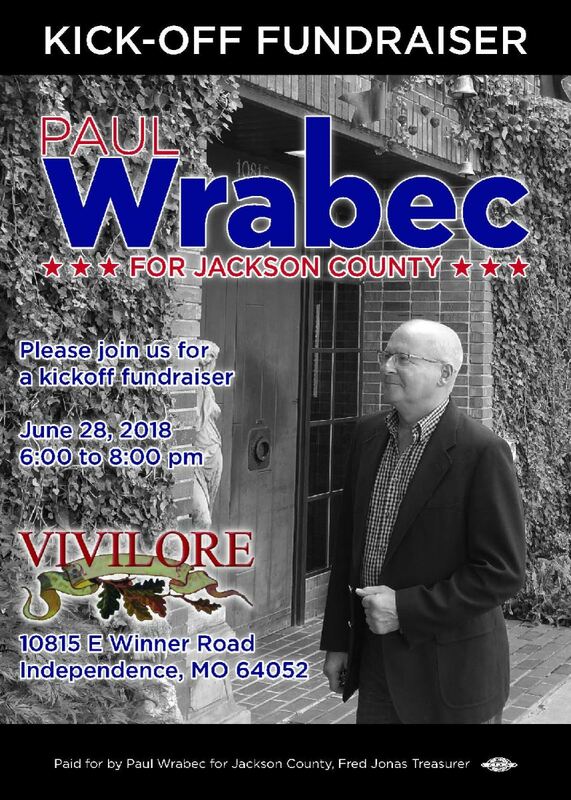 He has carried the water on all manner of issues ranging from tax cuts on corporations to budget cuts on higher education that have left Missouri in a lagging position behind competing states. We'll see if there is a legal battle over the appointment but we doubt the Republican super-majority will fight against "one of their own." The Kansas City Star has a quick report on Kehoe and the legal question available here. Update! 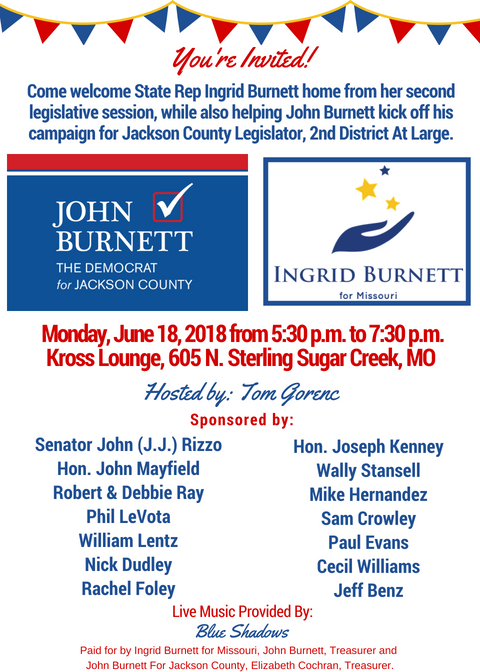 The Missouri Democratic Party has called for there to be a special election to fill the office of Lt. Governor. Read about it here. Some of you may recall that when Greitens was elected Governor with no experience or real knowledge of how government works, he decided to get around that minor problem by creating the new position of Chief Operations Officer to do the work he and his staff didn't have time for while he was planning his run for President and breaking a long list of laws. We shouldn't be surprised to learn that position was immediately corrupted. “The so-called ‘chief operating officer’ hired by Eric Greitens was always just an excessively paid staffer with an empty title,” said House Minority Leader Gail McCann Beatty, D-Kansas City. That quote came after a report showed a $2.7 million contract was awarded to a group the COO had ties to. Democrats are asking Governor Parson to correct this and eliminate the COO position, saving the tax payers from paying a six-figure salary that isn't needed. 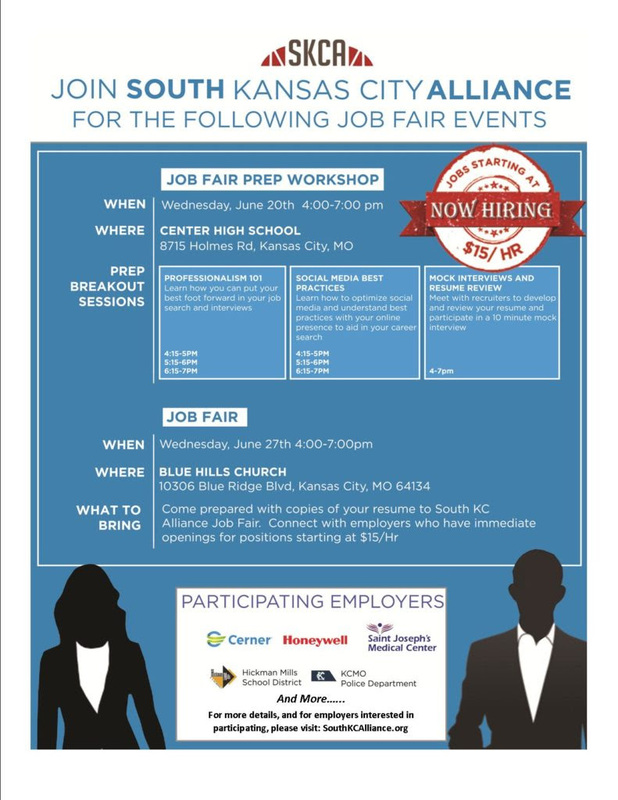 Read the Kansas City Star article here. Senator McCaskill and the Democratic Party's coordinated campaign have opened many field offices across the state and more are planned later in the summer. These local offices will be buzzing with activity between now and the November election and the main points for volunteers to get put to work. Here in Jackson County, offices have been secured at 3600 Broadway in KC, 221 Lexington Ave on the Independence Square and at 291 and 50 Highways in Lee's Summit. But for these offices to function while staying on a campaign budget, they need supplies donated from people like you. Just about anything can be put to good use; printer paper, pens, clipboards and of course, the fuel that will keep campaign staff running, food and drinks. Contact us to find out what you can send where. Every bit counts! 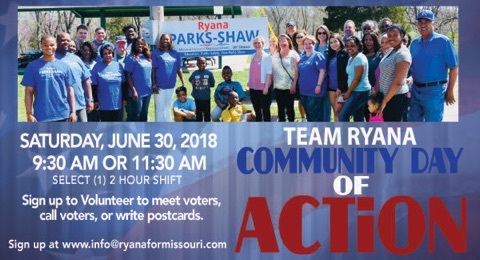 Raytown Democratic Association: Monthly meeting, Thursday June 21st at Las Chili's, 6210 Raytown Trafficway. Program begins at 7pm but guests are welcome to come for dinner at 6pm. Guest speakers include Rep. Jerome Barnes, county legislative candidate Sandra Jiles and County Executive candidate Matthew Merryman. Volunteer Day with Hillary Shields: Saturday, June 23rd, 10am-2pm. Join the campaign for canvassing, phone banking, post card writing; whatever your skills lend toward. RSVP HERE on Facebook. Heartland Alliance Progress: Monthly meetings are now on the fourth Monday of the month. 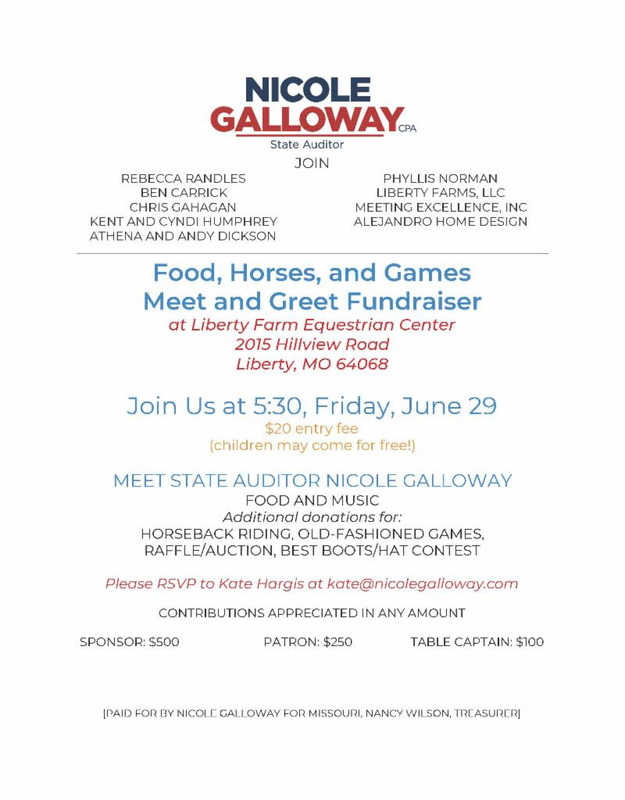 June meeting is June 25th, 5:15 - 7:00pm at Californo's (4124 Westport Rd. 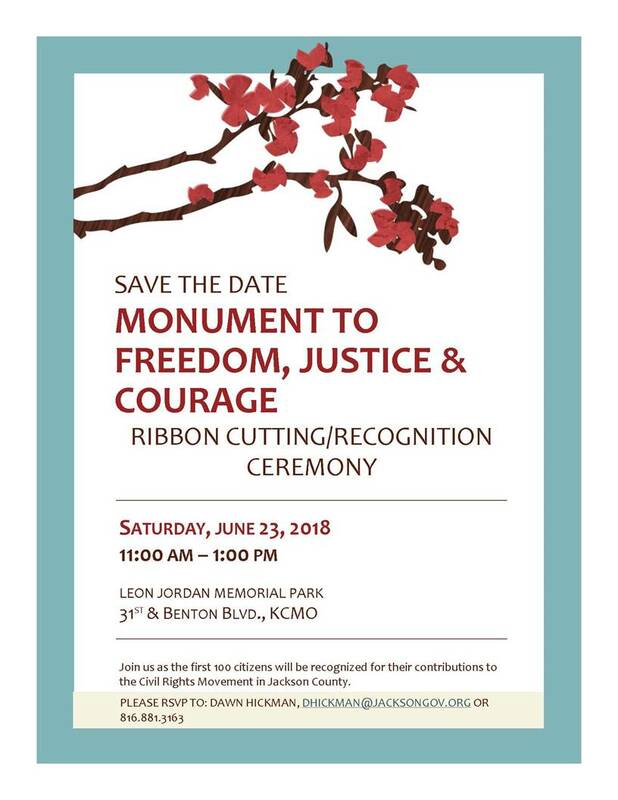 KCMO). 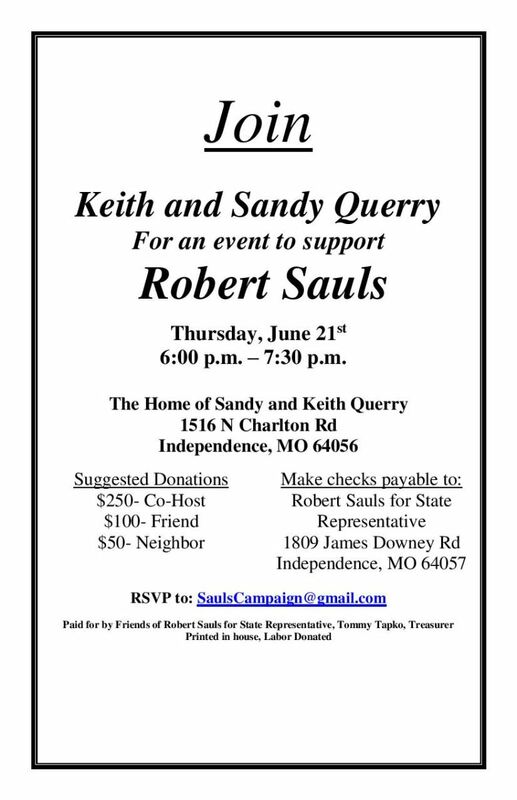 Main topic will be on Vote No On Prop A with guests from Jobs With Justice and We Are Missouri coordinators. 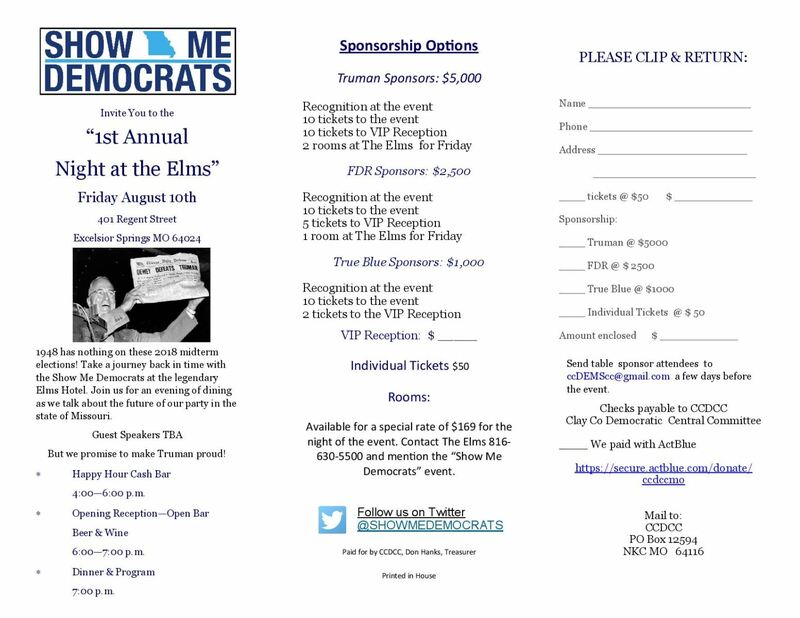 United Eastern Democrats: Monthly meeting, June 27th at Courthouse Exchange (113 W Lexington Ave on the Independence Square), social hour 6pm, program begins at 7pm. Guest speakers: Jalen Anderson (candidate for county legislator) and Robert Sauls (candidate for State House District 21).